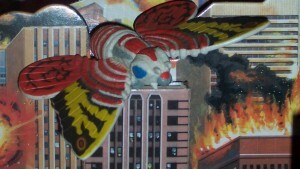 Mothra is said to bear a resemblance to an European Peacock Butterfly and Atlas Moth. 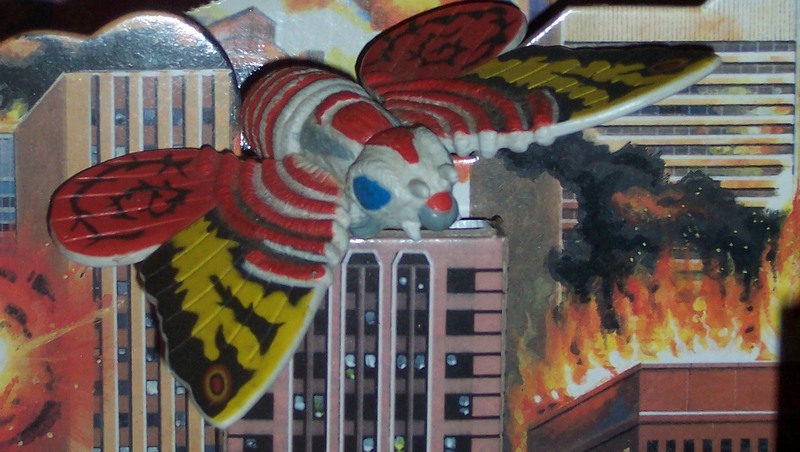 Eagle-eyed daikaiju fans might notice how the eyes of larval Mothra are red in her cinematic debut, yet they turn blue in Godzilla vs. Mothra (aka Godzilla vs. the Thing in America). In fact, they stay that way for the remainder of the old school Godzilla movies).